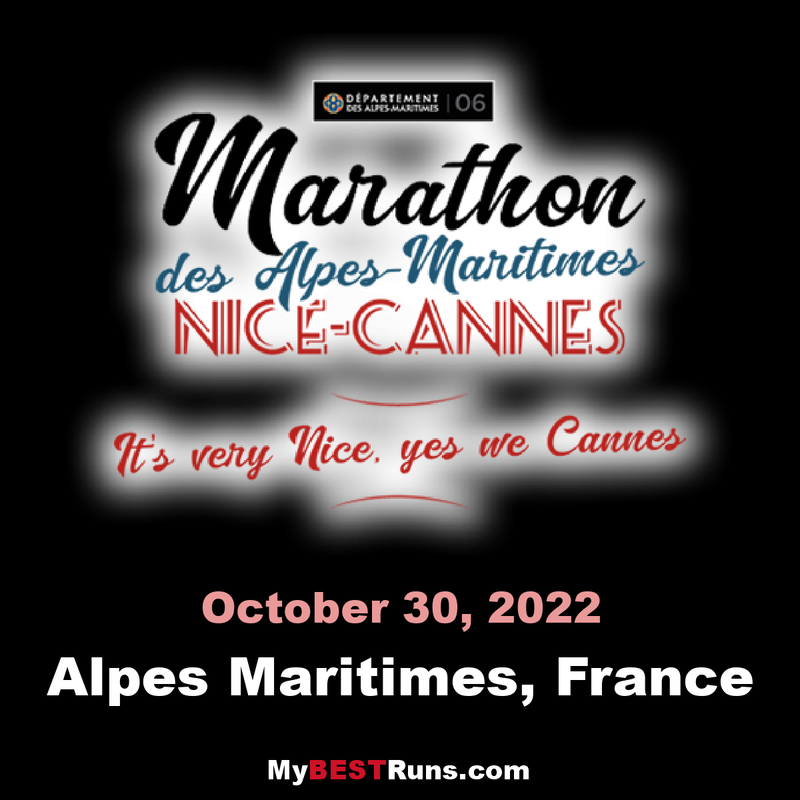 The Marathon of the Alpes-Maritimes is a marathon taking place on a part of the coast of Alpes-Maritimes , between Nice (the Promenade des Anglais ) and Cannes (the Promenade of the Croisette ). It is one of the most important French marathons in terms of number of participants, with 6,653 participants having finished the race in 2016. It is part of the international circuit of the IAAF Road Race Label Events , in the category of "Bronze Labels". It is organized by Azur Sport Organization (ASO). The mayors of the cities of Nice ( Christian Estrosi ) and Cannes ( David Lisnard ) run each year the entirety of 42,195 km . 95% of the course takes place by the sea. Participants pass Le Negresco de Nice and arrive in front of the Carlton Cannes, two palaces emblematic of the Riviera. This course of 42.195 km along the seaside from Nice to Cannes invites you to discover the most beautiful tourist places of the Riviera: Saint-Laurent-du-Var, Cagnes-sur-Mer, Villeneuve-Loubet, Antibes Juan-les-Pins And Vallauris Golfe-Juan.